After a week with sparse precipitation and warmer temperatures things are beginning to dry out. The only snow that remains is across the far north and it is diminishing rapidly, through there were still a few locations with up to a foot. The spring fire season has begun and so far 75 fires have burned 569 acres, threatening 25 structures and destroying two buildings. Debris burning is the leading cause of wildfires. Consider alternatives such as composting and if you do burn, be sure to get a burning permit. Northern lakes have as much as 36 inches of ice and as little as 12 inches of ice not including inlets, outlets and river channels. Southern lakes are opening rapidly. The Madison chain of lakes opened in the last week. Last weekend's Bois Brule River trout fishing opener brought out quite a showing of excited visitors. The vehicle count from Highway 2 to Lake Superior was just over 250, slightly higher than the historic average. Ice conditions along the shores Green Bay are rapidly declining and some bays have open water. Anglers are shifting their attention to open water walleye and brown trout fishing on the rivers. The Menominee River was producing both brown trout and walleye. Walleye are showing up on the Peshtigo and Menominee rivers but the "big push" hasn't happened yet. Walleyes are running on the Wolf and Fox rivers. In the southeast, warm temperatures last week brought many anglers out to the Sheboygan and Pigeon rivers. Fishing efforts on the Milwaukee River are now in full swing. Anglers were catching steelheads and musky, including a 40-incher caught and released. Although fishing pressure was high on the Menomonee River, success was very hit-or-miss. McKinley Marina is ice-free and many boaters took advantage of that last weekend. Lakeshore State Park is ice-free with kayaks, canoes, and fishing boats using the lagoon. Brown trout are starting to jump, and fishermen continue to pull these and a few steelheads out of the water. Fishing pressure was high on the Root River and steelhead catches have been numerous. Fishing activity is starting to pick up on the Pike River also, though nowhere near the pressure like that on the Root River. The 2019 Wisconsin Fish and Wildlife Rules Hearings and County Conservation Congress meetings will be held at 7 p.m., Monday, April 8, in each county of the state [PDF]. People have the opportunity to provide their input and testimony on rule change questions as wells as Congress proposals for rules to regulate fishing, hunting, trapping and other outdoor recreation activities. Citizens may also submit ideas and vote for delegates to represent their county on the congress. This year offers additional opportunity for the public to weigh in with an online option of the Spring Hearing questionnaire [PDF] that will be posted on the DNR website (dnr.wi.gov keywords "spring hearings") from 7 p.m. on April 8 to 7 p.m. on April 11. Black bears have emerged and are being seen in many locations. Turkeys have been strutting and heard gobbling regularly. The first chorus frogs of the spring are calling. Maple sap collecting is still going strong. Come to the MacKenzie Center on Saturday from 8 a.m. to 2 p.m. for Maple Syrup Festival and learn about how maple sugar and syrup are made. There will be live music, food, horse wagon rides and more. Migration continues at a steady yet somewhat slow pace. Waterfowl viewing is good in flooded fields, wetlands, and lakes across the southern half of the state, including a wide variety of ducks, geese, and swans. 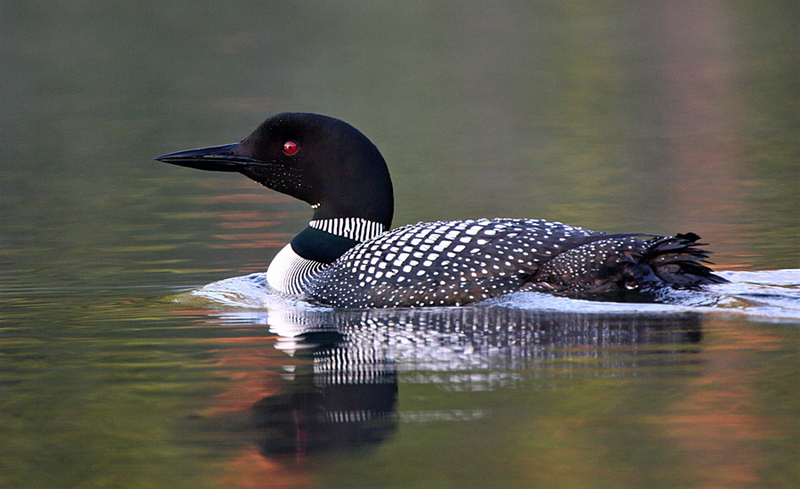 Common loons have arrived to deeper, open waters as far north as Lake Wausau, with best numbers in southeast Wisconsin now. Other water birds like great egrets, Bonaparte's gulls, and horned grebes are also returning. Shorebird arrivals included Wilson's snipe, and both greater and lesser yellowlegs. The first warblers are arriving with reports of yellow-rumped warblers as far north as Eau Claire, and early pine warbler and Louisiana waterthrush in the south, where fox sparrows, hermit thrushes, winter wrens, kinglets, eastern phoebes, and some rusty blackbirds were also reported. Prevailing ice and snow are limiting action in the north yet, although more robins, blackbirds, meadowlarks, kestrels, woodcocks, cranes, and juncos are moving in. Ruffed grouse have begun to drum sporadically. A few bohemian waxwings and big flocks of common redpolls remain there also. Fire season is upon us. Each year an estimated 1,100 wildfires burn in DNR protection areas (about half the state, generally the more forested areas) and another estimated 2,500 wildfires burn in parts of the state where fire departments are the primary responders. Two-thirds of these fires occur in spring. There is a great deal of dry vegetation and fallen leaves and other debris present this time of year, which is quick to dry out. Accompanied by warmer weather, drops in humidity and gusty winds, wildfires can quickly ignite and spread. So far this year,75 fires have occurred, burning 569 acres. Main fire causes have been debris burning and equipment; 25 structures have been threatened by these fires and two buildings have been destroyed. With the nicer weather, homeowners are cleaning up around their properties, sometimes choosing to burn leaves and branch debris. Debris burning is the leading cause of wildfires, especially this time of year. Burning is not your only option. Try alternatives such as composting or leaving brush in the woods for wildlife cover. The best practice is to not burn at all or to wait until surrounding vegetation greens-up in the summer. If you wish to burn, get a burning permit and follow the rules of the day. You can stay aware of fire danger and burning permit requirements by checking our website, dnr.wi.gov, keyword "fire" or calling 1-888-WIS-BURN. Information is updated each day at 11 a.m.
Come out to the MacKenzie Center on Saturday and learn about how maple sugar and syrup was made by Native Americans and pioneers, as well as current methods used today. There will be live music, food, horse wagon rides, interpretative displays, and much more! Spring turkey hunting season is right around the corner and Horicon Marsh Education and Visitor Center is holding Turkey Tracks Weekend Saturday and Sunday. Practice setting up a blind, place your decoys, try a call and pick up some delicious wild game recipes! April 12, 9 a.m.-noon - Ridgeway Pine Relict Workday: Cutting brush. Ridgeway is known for its scenic pine relicts that have northern plant species. Help care for this site by removing invasive plants and encouraging native plants at our second Friday workdays. Activities during winter focus on brush cutting, treating, and burning. 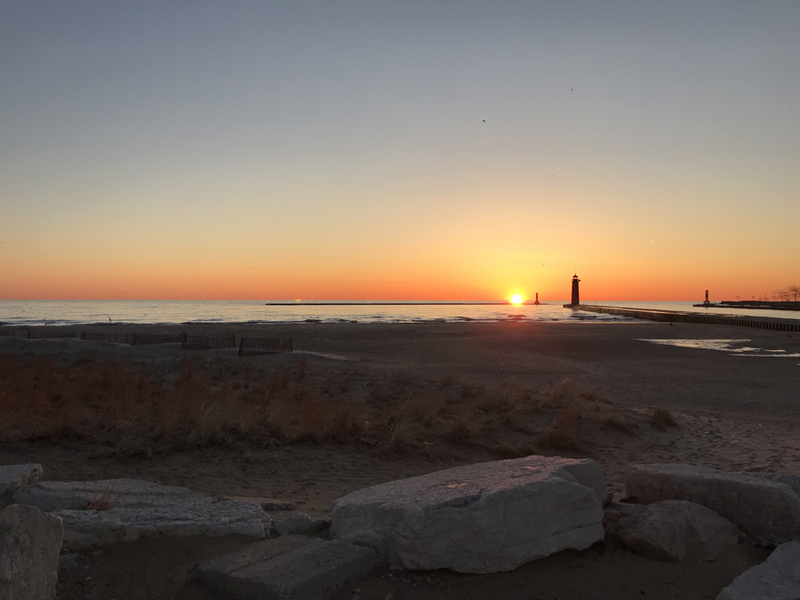 Sheboygan County - Thursday was warm, bringing many anglers to Sheboygan and the Pigeon River, including one boater in Lake Michigan waters to the south of the city. Some anglers were flyfishing, and at least one angler was kayak fishing. Despite this activity, no fish were reported to be caught. Sunday was windy, chilly, and a bit cloudy. Michigan waters were turbid. Few anglers were fishing, with the majority of anglers fishing the Pigeon River. While still slightly turbid at Pigeon River Park, the Pigeon was clear at Maywood Park. At least one steelhead was caught. Wednesday anglers fished the Sheboygan River near Esslingen, the Roy Sebold Nature Area, and at the Kohler Dam. The catch of the day was northern pike (4 kept), while several trout were also caught. Thursday, similarly warm, also had a lot of activity, including at Weedens Creek. Pike and steelhead were caught at the Kohler dam and downstream. Saturday brought snow, rain, and fewer anglers. The south pier was iced on the margins during the middle of the day, deterring all. A few anglers tried their luck at Sebold, but no fish were caught. Good air quality for Wisconsin on Tuesday, April 23, 2019 at 5:52 am CT.